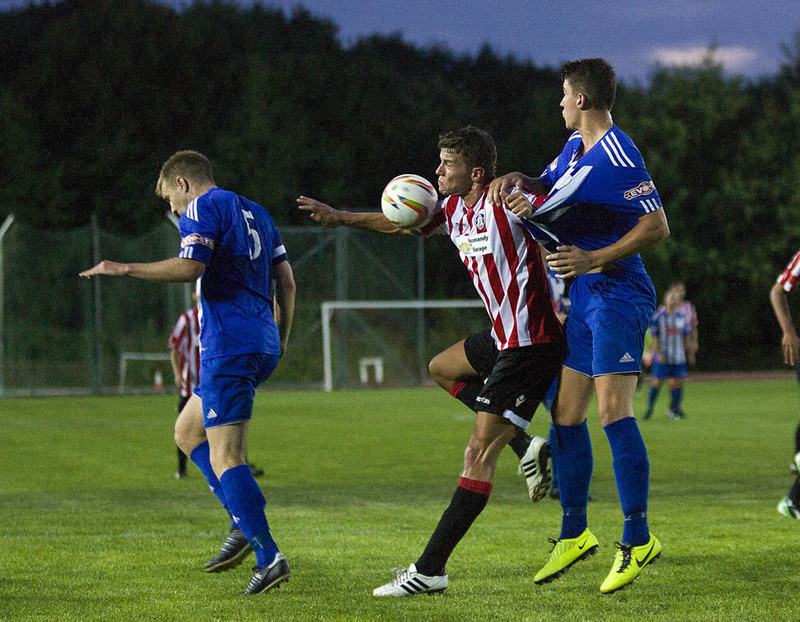 After losing the first game of the season at Mangotsfield, Guildford City Football Club face Thatcham Town FC at their home ground (The Spectrum, in Guildford). This was the first time that I have photographed at the Spectrum, so didn’t know what to expect. As turns out it is a pretty impressive place, let down (from a fans point of view) is that the seating is a little way from the pitch (because the Spectrum is also an altheletics field). So an evening game, at a new ground, 1945hrs kick off… could be fun. The stadium lights are not anything like as powerful as the lighting that I was used to in the Premier League & Championship stadiums back when I regularly did footy 10 years ago. So the second half meant shooting 1600ISO, 1/320 sec @ F2.8, and still requiring a little tweeking.